The trailer for Dalton Trumbo's Johnny Got His Gun. A new ‘live on stage, on film’ version of the National Book Award-winning novel, Dalton Trumbo's Johnny Got His Gun takes place in the mind of a young American soldier hit by an artillery shell on the last day of WWI; a quadruple amputee who has also lost his eyes, ears, nose, and mouth. 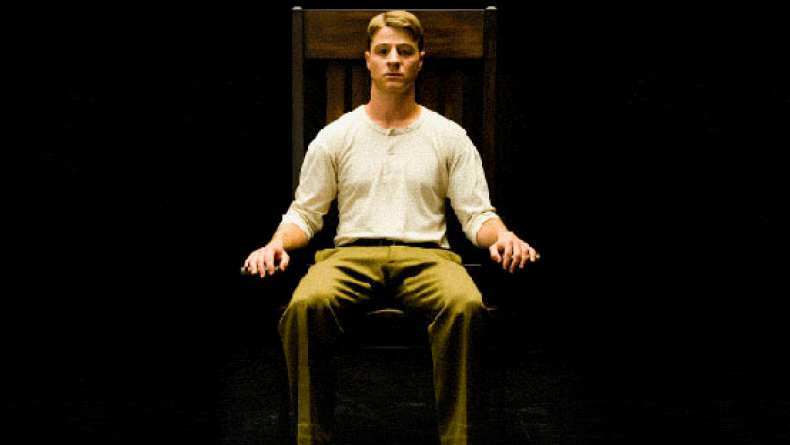 Regaining consciousness, Joe Bonham (Ben McKenzie) discovers that while his brain is healthy and able to reason, the rest of his body is irreparably shattered, leaving him trapped forever within the confines of his own imagination. He struggles to find some way to communicate with the outside world. Tapping his head in Morse code, he breaks through and pleads with his caretakers to be put on display as a living example of the cost of war.